Since 1981, Donna Gaines has assisted clients in finding key professionals with leadership talent to meet the challenges of modern business. 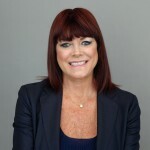 With decades of experience in executive search and candidate placement in the architecture, design, engineering and construction industries, Donna brings a unique sensibility to recruitment and understands the impact of architecture and design on cultures and societies. Donna relocated the Gaines headquarters from Atlanta to Chicago following a decade that included the Gulf War, an economic downturn and overbuilding that slowed the design and construction industries. The impact was felt at Gaines and Donna used it as an opportunity to reengineer the company to meet prevailing demands. She chose to move her business to Chicago to be near the architectural action. After arriving in Chicago, Donna completed an intensive entrepreneur program at the University of Illinois-Chicago School of Business and established Gaines as the trusted name in the industry. Donna has been tremendously successful in the markets her firm serves. Over the years she has moved into ancillary markets with expanding opportunities for candidate recruitment. She has been active in several industry associations, such as the AIA, IIDA and Women in Planning and Development. Donna frequently writes and gives presentations focused on strategic hiring and management practices within the fields of executive search and design. Today, her desire to continually grow and develop professionally has led her to pursue certification as a Certified Professional Coactive Coach. In addition to executive oversight of the firm that she founded, Donna also functions as an advisor to Allen Austin, the parent company. Over the last 2 years Donna provided transition planning and coaching services to firm owners and founding Principals of architectural firms who were contemplating exiting their firms with a focus on both the business and the owners. She has now returned to a leadership position with the firm she founded and is continuing to build Gaines International.